Use this product as a food supplement only. Do not use for weight reduction. Do not use if packaging has been tampered with. Packed by weight, not by volume. Settling of product occurs after filling. KEEP OUT OF REACH OF CHILDREN. STORE IN A COOL, DRY PLACE. Whey Protein Isolate, Whey Protein Hydrolysate, Cocoa (Processed with Alkali), Contains 2% or less of: Natural & Artificial Flavors, Natural Cream Flavor, Salt, MCT Oil (Fractionated Coconut Oil), Sucralose, Guar Gum, Color (Caramel), Sunflower Lecithin, Silicon Dioxide, Lactase, Protease, Cinnamon, Rebaudioside-A (From Stevia Leaf Extract). Whey Protein Isolate, Whey Protein Hydrolysate, Cocoa (Processed with Alkali), Contains 2% or less of: Natural & Artificial Flavors, Natural Cream Flavor, MCT Oil (Fractionated Coconut Oil), Salt, Coffee Powder, Color (Caramel), Potassium Citrate, Guar Gum, Sucralose, Sunflower Lecithin, Silicon Dioxide, Lactase, Protease, Rebaudioside-A (From Stevia Leaf Extract). Whey Protein Isolate, Whey Protein Hydrolysate, Contains 2% or less of: Natural & Artificial Flavors, Natural Cream Flavor, MCT Oil (Fractionated Coconut Oil), Salt, Potassium Citrate, Guar Gum, Sucralose, Sunflower Lecithin, Silicon Dioxide, Lactase, Protease, Rebaudioside-A (From Stevia Leaf Extract). Whey Protein Isolate, Whey Protein Hydrolysate, Contains 2% or less of: Cookie Pieces (Enriched Wheat Flour [Wheat Flour, Niacin, Reduced Iron, Thiamine Mononitrate, Riboflavin, Folic Acid], Sugar, Canola Oil, Cocoa (Processed with Alkali), Salt, Sodium Bicarbonate), Natural & Artificial Flavors, Natural Cream Flavor, MCT Oil (Fractionated Coconut Oil), Salt, Potassium Citrate, Guar Gum, Sucralose, Sunflower Lecithin, Silicon Dioxide, Lactase, Protease, Rebaudioside-A (From Stevia Leaf Extract). Whey Protein Isolate, Whey Protein Hydrolysate, Mini Chocolate Chips (Sugar, Palm Kernel Oil, Cocoa [Processed with Alkali], Soy Lecithin, Sorbitan Tristearate), Contains 2% or less of: Natural & Artificial Flavors, Natural Cream Flavor, MCT Oil (Fractionated Coconut Oil), Guar Gum, Potassium Citrate, Sucralose, Sunflower Lecithin, Silicon Dioxide, Lactase, Protease, Rebaudioside-A (From Stevia Leaf Extract), Mint Green Color (Blue 1, Beta-Carotene). Contains: milk, soy, tree nut (coconut). Contains: milk, peanut, soy, tree nut (coconut). Whey Protein Isolate, Whey Protein Hydrolysate, Peanut Powder, Cocoa (Processed with Alkali), Contains 2% or less of: Mini Peanut Butter Chips (Partially Defatted Peanuts, Sugar, Hydrogenated Palm Kernel, and Soybean Oil, Corn Syrup Solids, Dextrose, Modified Milk Ingredients, Salt, Artificial Flavor), Natural & Artificial Flavors, MCT Oil (Fractionated Coconut Oil), Salt, Guar Gum, Sucralose, Sunflower Lecithin, Silicon Dioxide, Lactase, Protease, Rebaudioside-A (From Stevia Leaf Extract). Whey Protein Isolate, Whey Protein Hydrolysate, Cocoa (Processed with Alkali), Natural & Artificial Flavors, Contains 2% or less of: Natural Cream Flavor, Granular Sea Salt, MCT Oil (Fractionated Coconut Oil), Guar Gum, Potassium Citrate, Sucralose, Sunflower Lecithin, Silicon Dioxide, Lactase, Protease, Rebaudioside-A (From Stevia Leaf Extract). 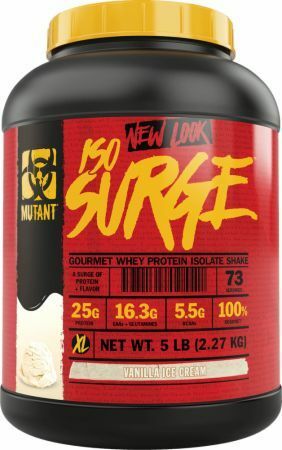 Whey Protein Isolate, Whey Protein Hydrolysate, Contains 2% or less of: Natural & Artificial Flavors, Natural Cream Flavor, MCT Oil (Fractionated Coconut Oil), Freeze-Dried Strawberry Bits, Color (Red Beet Powder), Citric Acid, Salt, Potassium Citrate, Guar Gum, Sucralose, Sunflower Lecithin, Silicon Dioxide, Lactase, Protease, Rebaudioside-A (From Stevia Leaf Extract). Whey Protein Isolate, Whey Protein Hydrolysate, Cocoa (Processed with Alkali), Mini Chocolate Chips (Sugar, Palm Kernel Oil, Cocoa Powder, Soy Lecithin, Sorbitan Tristearate), Contains 2% or less of: Natural & Artificial Flavors, Natural Cream Flavor, MCT Oil (Fractionated Coconut Oil), Salt, Potassium Citrate, Guar Gum, Sucralose, Sunflower Lecithin, Silicon Dioxide, Lactase, Protease, Rebaudioside-A (From Stevia Leaf Extract). Whey Protein Isolate, Whey Protein Hydrolysate, Contains 2% or less of: Natural & Artificial Flavors, Natural Cream Flavor, MCT Oil (Fractionated Coconut Oil), Guar Gum, Potassium Citrate, Sucralose, Sunflower Lecithin, Silicon Dioxide, Lactase, Protease, Rebaudioside-A (From Stevia Leaf Extract).